The broking industry has been on the offensive in the past week, meeting MPs, writing letters and campaigning for the broker channel following the radical recommendations of the banking royal commission report. On Monday (4 February), the final report from the Royal Commission into Misconduct in the Banking, Superannuation and Financial Services Industry was released, putting forward 76 recommendations to change the sectors. Among them were several recommendations to drastically change the way brokers are paid. Commissioner Kenneth Hayne reiterated his concerns from his interim report regarding broker remuneration arrangements that “might” be conflicted and warned that lenders that pay value-based commissions to brokers may be breaching their obligations under the National Consumer Credit Protection (NCCP) Act. In the final, three-volume report, the commissioner therefore called for changes to brokers’ remuneration over a period of two or three years, by first prohibiting lenders from paying trail commission to mortgage brokers in respect of new loans, then prohibiting lenders from paying other commissions to mortgage brokers. While the government has said it will look to ban trail commissions next year, Treasurer Josh Frydenberg appears cognisant of the major ramifications that moving from a lender-paid commission structure to a consumer-paid fees model could have on industry and has therefore said that government should look at the feasibility of moving to a consumer-pays model in three years’ time. However, there are concerns that should the upcoming election result in a change of government, the incoming party may not uphold that decision. Given recent research around consumer attitudes on changing a free service to one they need to pay for, there are major concerns that such a model would decimate the viability of the broking industry. As such, industry has been actively campaigning to demonstrate the value of the current broker remuneration model, emphasise the much-needed and popular service of brokers and ensure that politicians are fully across the truth of the broker model. The Adviser has been contacted by many brokers who have taken the initiative to meet with MPs, write to them and extol the broker proposition. Meanwhile, NSW brokerage iChoice has reached out to compensation lawyers about the possibility of mounting a class action against the government – and possibly the banks – on behalf of mortgage brokers impacted by the banking royal commission. Maroun Ajaka and Jason Khoury, brokers and partners at Strathfield-based brokerage iChoice, told The Adviser they have reached out to class action specialists asking them to consider mounting a class action on behalf of mortgage brokers given the changes facing the industry off the back of the banking royal commission. They continued: “This legal representation could assist us in stopping the change; failing this, we would be seeking compensation for the diminished value of our businesses resulting from the proposed changes. Many are also writing letters to politicians on both political parties, such as Intuitive Finance broker and managing director Andrew Miriams – who recently wrote a letter to Chris Bowen and Bill Shorten MPs over their “attack” on the broker remuneration structure. As well as Mr Miriams, ifa Mortgages’ head Anthony O’Flynn has written an open letter to Treasurer Josh Frydenberg outlining his concerns with the consumer-pays model. Other brokers are meeting MPs face to face. Among them is David Brell, senior mortgage adviser and executive director of NSW-based brokerage Smartmove, who recently met again with former prime minister and current member for Warringah, Tony Abbott, to discuss the value of the broker market. Following a meeting last year, Mr Brell said that he was surprised to have received a call from Mr Abbott’s office asking if he could visit the Smartmove office. Mr Brell told The Adviser: “I got a phone call from Mr Abbott’s office asking if he could come in to the office to see us and I said, ‘Absolutely’. “When he came into the office, he spent time talking to our team members at their desks, taking the time to understand what we do,” Mr Brell said. Noting that there was a Macquarie Bank BDM in the office, Mr Brell said that the former prime minister was “very interested in understanding how the non-major lenders operate and how they work with brokers and that led to a discussion around competition”. 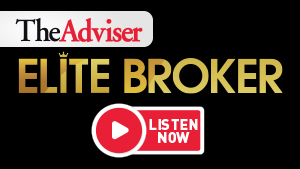 “It’s a really important role that brokers play in offering consumers access to more lenders and how some smaller lenders rely solely on brokers for access to consumers,” Mr Brell told The Adviser. “It is as a result of brokers that consumers have these extra competitors. When we met last time, he knew that interest rates are lower as a result of either brokers or small lenders, and this time, he gave a speech to the office and said he recognised the importance that the team played in saving money for their clients, even if it is a little bit. “‘A little bit goes a hell of a long way’ were the words I think he used. He emphasised the importance of what we do for the industry and understanding how we save money for the clients,” Mr Brell revealed. “I was very impressed by him and his genuine interest in us,” Mr Brell said. The Smartmove broker added that he hoped interactions such as these would help politicians understand more fully how the industry works and the positive impacts it has on consumers by giving them a choice and “saving them from the might of the large corporate banks”. He said that this was particularly important given the fact that Commissioner Hayne has called for “such an enormous change which has such a big impact on not just the industry but the consumers, without having the full and deep understanding and without the ability to hear the testimony from the mortgage broking industry to form a balanced view”. As well as brokers taking action individually, the Mortgage & Finance Association of Australia (MFAA), along with several aggregators and lenders, has today launched a national campaign that will run across television, media, social media and radio to remind borrowers the value that mortgage brokers provide in providing competition, choice and access to credit. This campaign also provides a template letter for borrowers to send to their local politicians regarding their support of the current broker model. “I urge all Australians to [visit the website] and show support for an industry that underpins and helps sustain our entire home lending market,” MFAA Mike Felton commented. *This article was updated on 7/2/2019 to correct the name of the organiser of the petition and update the number of signatories.